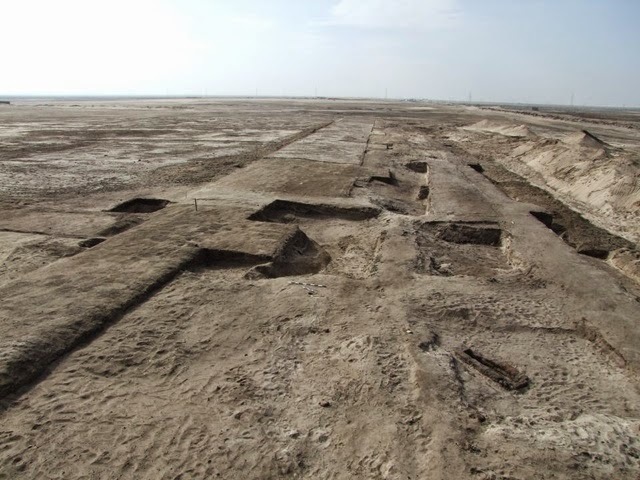 Dr. Mamdouh El Damaty announced the discovery of the remains of the eastern gate of Tharw fortres in Sinai which served as the Egyptian army headquarters in the New Kingdom. The discovery was made by the Egyptian team working at Tell Habwa in the east bank of the Suez Canal. The discovery also include mud brick royal warehouse belong to "Ramses II and Thotmoses III" and 26th Dynasty cemetery most of the graves are mud brick and group tombs of contains human remains showing battles injuries. 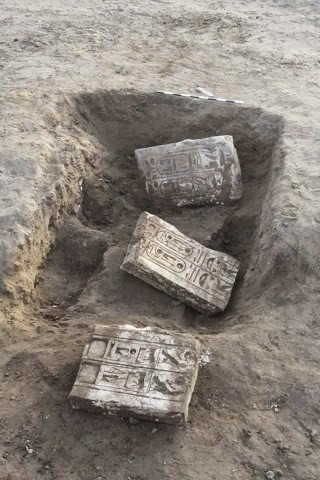 The discovered part of the eastern gate of Tharw fortress are 3 fragments of limestone with inscriptions of Ramses II of 3 meters length and 1 meter width. The fort is on the famous Horus military road which was the way to secure the eastern Egyptian boarders.